Nothing makes you feel fancy AF quite like a fresh set of gel acrylics but what if we told you your religious twice-monthly trips to the salon are actually a huge cancer risk? I hate to be the bearer of bad news but one Facebook user has highlighted the serious health risk hiding beneath those artificial nail beds and it'll probably make you think twice about booking in for a set of infills. 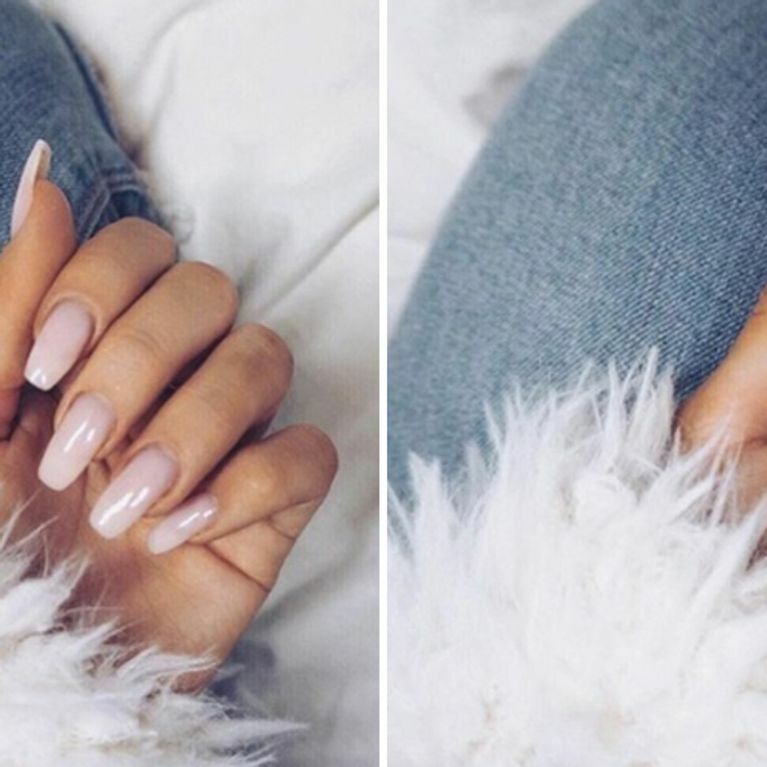 Your gel nails could give you cancer - no exaggeration. While many steer clear of artificial extensions as they weaken the natural nail beds, this hidden health risk may make many more of you reconsider your religious twice-monthly nail-salon trips. Facebook user Lauren Ann has highlighted the cancer-causing risk of gel manicures by sharing a photo of her best friend's natural nail bed which had been discoloured by the combination of UV light and the chemicals used to make artificial extensions. It turns out the reddish stripe is skin cancer. Alongside the photo, Lauren explained: "That's what #melanoma looks like on a #thumbnail. One of my very best friends in the world got gel manicures regularly, like many of us. Prior to her diagnosis I hadn't put too much thought into the dangers of the UV light so closely to the fingers/nails, especially with some fairly newer chemical compound on them." She continued by detailing exactly how her girlfriend came to discover the shocking diagnosis, writing: "She no longer has this thumbnail because THANK GOD she was smart enough to go to a dermatologist and he diagnosed her with a rare form of cancer and did surgery. Although she very much misses her 10th nail, she is lucky it did not spread. And I'm SO EXTREMELY blessed that she caught this in time." Lauren signed off by urging girls everywhere to be aware of the risks associated with having gel-nail manicures, writing: "Please be cautious when getting gels and consider that there are these types of risks. This is just a friendly PSA in honor of my homegirl's thumb, my love for her and my general concern for humanity." If you're not prepared to give up your gel habit, we urge you to constantly be on the look out for changes to your natural nails before it's too late.